Also Known As (AKA) is the story of a teen safecracker named Maggie. She is always on the move with her spy parents, making the world safe from bad guys. Her current assignment is her first solo outing, and it ‘s a big one. 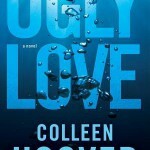 Maggie has to go undercover as a student at a Manhattan prep school to get close to fellow student Jesse Oliver. Jesse’s wealthy dad has the names and photos of Maggie’s family and other members of the spy group known as the Collective. If Maggie can’t retrieve the file in time, their identities will be leaked to the media. What Maggie didn’t bank on is falling for Jesse for real, and finding a real friend (not air quotes friend) in Roux. 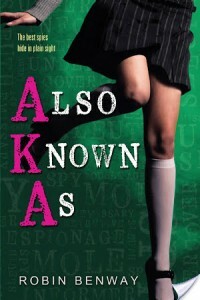 I expected AKA to be a kind of funny Heist Society type novel, with lots of gadgets and dangerous missions. Where this book is a little different is that the main character gets to experience a normal life for the first time. She’s always lived the life of an international spy, never putting down roots anywhere. Now she’s getting her first taste of high school and being around teenagers, and it’s out of her comfort zone but in a good way. There’s a great cast of characters in AKA. Maggie has a mentor and coffee buddy in the forger Angelo, and Maggie’s parents walk the line between over-protective mom and dad, and stern bosses. Maggie is clever and sarcastic and is used to talking to adults all day. Her new friends are independent and loner types (but the filthy rich kind) like her. But together they click as a band of misfits. I loved the smart and snappy dialogue in AKA. 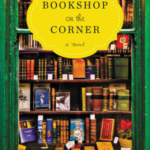 The novel flows in a conversational and easy way and is a quick and fun read. 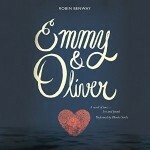 Benway’s wit shines through the pages, and the story is full of action, friendship, and heart. The New York setting is also used to advantage with several scenes taking place in familiar landmarks. I found it humorous that Maggie has to be a “spy” for her Halloween costume and doesn’t know how to dress the part. In addition to Maggie torn between the spy world and wanting a normal life, there’s also a mystery to solve and the clock’s ticking. The stakes are high for her family and for the first time Maggie has friends that she doesn’t want to let down. 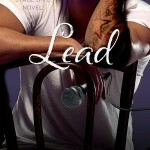 I think anyone that enjoys humorous YA contemporary books will love Also Known As. The spy twist is fresh and a blast to read. 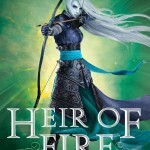 And even though there is a sequel in the works, this book has a satisfying conclusion on its own. I’m looking forward to the next installment. 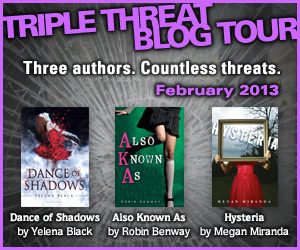 Thanks to Bloomsbury for inviting me to participate in the Triple Threat Blog Tour and providing a review copy of AKA! I am so glad that you loved this book too! And yes, AKA has a lot of LOL moments. Most of them because of Roux. I can not express how much I love that girl. She’s waited long enough to give us a new book. She does write conversationally, which can be awkward if not done well. But she did it well in Audrey, Wait. 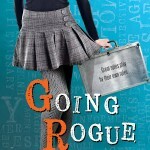 Sounds like a fun addition to the teen-spy-crime genre.